In the past two years there seems to be a decline in both the quantity and quality of Hamas terrorist activity. Israeli politicians and journalists, as well as many observers from the Israeli security community tend to analyze this decline as meaning that although the movement is attempting to continue its massive terrorist activity, this attempt fails due to Israeli and Palestinian success in uncovering its activity. Others tend to emphasize—usually for political reasons—the Israeli-Palestinian cooperation in the security field as the main reason for the decline. The Palestinians also seems to be very keen on giving maximum exposure to its pressures on Hamas, both political and military. On the other hand, there are observers who, like this author, believe that although the Israeli-Palestinian cooperation and the pressure on Hamas play a prominent role, this is not the whole story. On the contrary, the change in Hamas activity and the decline in its terrorist operations result primarily from the movement’s own decisions rather than its inability to carry out these operations. The leaders of Hamas, especially the local leaders in the Palestinian Authority—and primarily in the Gaza Strip—are fully aware of what is written and said about their activity. This awareness is central to their high sensitivity to Palestinian public opinion—perhaps even to Israeli public opinion—not to mention to that of their own supporters, or what we may call the Islamic public. It is typical of movements belonging to the school of the Muslim Brotherhood that they constantly reevaluate their situation. In the 12 years since the outbreak of the Intifadah Hamas has tended to view its activity in stages. Every stage has its own strategy, goals and tactics. In most cases they do not conceal their reasoning and reevaluations, but publish it publicity in their main organ, Filastin al-Muslimah, and some of their pamphlets. During the past two years we can see several reevaluations of the Palestinian scene on one hand and of its activity on the other, made by the Hamas leadership in the Territories. 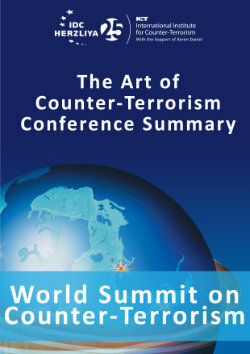 The analysis of these reevaluations has been presented on this website in three different articles by the author—“Is Hamas Reevaluating the Use of Terrorism?” on September 28th 1998; “A New Tactic of Hamas Terrorism” on October 13th 1998; and “Is Yassin Going to Kanossa?” on May 7th 1999. The main consequence of this analysis has been the thesis that Sheikh Ahmed Yassin and his closest aides in Gaza have thoroughly reconciled themselves to the existence of the Palestinian Authority as a kind of Palestinian regime in a semi-independent state. This change has come about since the Yassin’s release and his return to the leadership of the movement in the Gaza Strip, in October of 1997. It seems that Yassin’s return to power has brought about two important changes in Hamas. One of these changes stems from Yassin’s position as the last prominent figure of the old leadership of the Palestinian Muslim Brotherhood. As such he has brought Hamas to abide by the movement’s principles and doctrines, without loosing sight of the enormous political importance of the social, cultural and Islamic welfare activities. The second change was Yassin’s success in taking over the authority and influence of the “external” leadership, based mainly in Amman. These external leaders had placed greater emphasis on the military side of the struggle—concentrating mainly in the struggle against Israel rather than on gaining the local support of the Palestinian society in the Territories. The expulsion from Jordan of the Hamas activists by the Jordanian government has further weakened their position vis-a-vis the “internal” leadership under Yassin, and has thus strengthened his position. In fact, although he was obliged to publicly condemn the Jordanian act, we have not seen any real activity of Hamas in the Palestinian Authority to protest against this act. It seems that Yassin and his followers in the Territories can now function more easily, without feeling the external leadership breathing down their necks. In the December 1999 issue of the London-based Filastin al-Muslimah, an important unsigned article appeared concerning “The Development of the Influence and Activity of the Islamic Trend in the West Bank and Gaza Strip in the last two years.” As in previous cases concerning such movements, an unsigned article means that it reflects the official position of the movement and not the views of someone within the movement. For this reason the content of such articles is all the more important in analyzing the changes in the movement and its strategy. The first thing that should attract our attention in the article is the connection made between the military and political activity of Hamas. The article compares the terrorist operations during the past two years with the success of the Islamic Blocks in the student council elections in the Palestinian universities over the past three years. This combination is important because it seems that the article is mostly directed to the movement’s supporters and the Islamic public. The manner in which the data is presented in the article gives the reader the impression that the terrorist activity of the “Islamic Resistance” in the past two years was meant primarily to affect Palestinian public opinion and to increase the Palestinian support of the movement, rather than to halt the peace process or to intimidate the Israeli public. Some may say that this was a consequence of the Movement’s weakness following heavy pressure brought to bear by the Israeli and Palestinian security forces. Some may say that the strategy of Hamas has not changed, but that it can no longer maintain its terrorism in Israel. But the fact is that several of the movement’s publications since the release of Yassin two years ago point to the conclusion that the local leadership is concentrating more on the future than on waging a war against the “rear guard” of the present political process. It seems that Hamas has fully internalized the fact that the Palestinian independent state on part of Palestine as a consequence of the reconciliation process with Israel is about to become a reality. Moreover, it has internalized the fact that this is the expectation of the vast majority of the Palestinians. The movement’s main direction of struggle should therefore take place in the internal arena and center around the nature of this future state. Palestinian society in the Territories is very young, especially the Muslim population. The same holds true for the population in the Gaza Strip, which is all Muslim. The students are therefore the leading social and political element in the younger generations. The social revolution in the Territories and the development of higher education under Israeli rule have brought about a very high level of political awareness in Palestinian youngsters, which leaves no place for political vacuum. Most of the Palestinian students come from the middle and lower classes, and many of them are villagers or residents of refugee camps. Their integration in the new Palelite in the future, a process that began in the 1980s gives them an important role in the shaping of the future Palestinian State. The Palestinian Authority is relatively democratic, although there are lot of complaints about corruption and Arafat’s dictatorship. The influence of Israeli society and politics upon the Palestinians has brought about a relatively pluralistic society in the Palestinian Authority, and a relative highly-developed public opinion, much higher than in most of the Arab World. The student element in that pluralism is very important. The student blocks in Palestinian universities are closer to political parties than in any other sector, and maintain daily activity. Moreover, the elections for the students’ councils are held each year, so they can be used as a good criterion for the political diversity of the younger generation. The number of students in various institutions of higher education—universities, small colleges, Islamic colleges, various professional institutes, etc.—is continually increasing. In 1999 there were about 22,000 students in the Palestinian universities and about 8,000 in various other institutions of higher education. This means that the students are about 1.5% of the Palestinian population in the Palestinian Authority, a relatively high fraction in the Arab World and not far from that in Israel (about 1.8%). Just as the Palestinian students played in the important role the 1980s in the Intifadah, they are going to play a significant role in the development of the future Palestinian State and society. The Palestinian students, due to their youthful tendency to be more revolutionary, as well as the role of the universities in the struggle against Israeli occupation, tend more toward extremism. This explains the enormous support for Hamas in the elections in the past few years. This phenomenon is not new as Hamas or the Islamic Blocks of the Muslim Brothers have often won elections in the universities. But, in the past this was under Israeli rule and under the influence of the struggle against Israeli occupation, with the PLO being outside of Palestine. In recent years the elections were held under the auspices of the Palestinian Authority, which has the means to influence their results from near at hand. Therefore, the significance of the Islamic achievements in these elections is greater. Hamas has not ceased to be a terrorist organization and probably does not intend to neglect that part of its activity. But, it is interesting to look at the list of terrorist operations in the past two years, as shown in the following translation of the article in Filastin al-Muslimah. First, it should be noted that there is one double operation missing from the list—the two car explosions in Haifa and Tiberias on September 1st1999, which were carried out by Israeli Muslim citizens. Normally, Hamas would be proud of these two operations, although they failed to cause casualties (only one wounded in Tiberias). The fact that they were excluded from the list may hint at the wish of the Hamas leadership to emphasize operations carried out by Palestinians from the Territories, as it was for this audience that the article was written. The list of terrorist operations published in the article (Table No. 1) includes 30 operations, 14 in the period between September 1997 to August 1998, and 16 between September 1998 to September 1999. Although we’re dealing with relatively small numbers, the comparison of the data for each year shows a very definite change. In the first period Hamas carried out 9 (out of 14) operations using explosives (Suicide bombing, bombs and car bombs), while in the second period only 5 out of 16 used this modus operandi. Furthermore, in the first period Hamas carried out 5 out of 14 operations using small arms (Shooting, grenades or Molotovs, stabbing and auto collisions), while in the second 11 out of 16 operations used such methods. This means that the terrorist apparatus is having difficulties obtaining and using explosives, probably due to the greater effectiveness of both the Israeli and Palestinian security forces, and the better cooperation between them. But, another interesting change can be seen in the locales and targets of Hamas’ terrorism. In the first period 9 out of 14 operations were carried out in Israel, including East-Jerusalem (4 out of the 9 outside Jerusalem). In the second period 6 out of 16 were such operations (only 3 outside Jerusalem). In other words, there is a decline in the operations carried out in Israel (inside the “Green Line”) and an increase (from 5 to 9) of the operations carried out in the Territories, against Israeli soldiers or settlers, who are perceived by Hamas as soldiers as well. Below is the translation of the article from Filastin al-Muslimah. The absence of the suicide operations that marked the activity of the armed Islamic resistance in the period of 1994-1997, has brought with it the assumption that there were signs of retreat caused by the circumstances, which led the resistance to abandon its flags and weapons. This assumption has been reinforced by the media and was nourished by the elements of the compromising camp. In the shadow of stormy propaganda, accompanied by a noisy drumming on the drums of reconciliation, the resistance and those who believed in it have been viewed as a thing of the past. But, if we sift the dust of propaganda and stick to the facts, we see that the reconciliation is eating from the bread of history while the caravan of resistance is moving onwards to the future. This is revealed if we seriously analyze the results of the students’ elections, which precisely reflect the direction of the popular current that is concealed by the Palestinian Authority and the powers of dictatorship. These are the same consequences when we survey the resistance activity by the rifle that refuses to be broken, despite the poisoned winds over the area in this aching moment of its history. The Palestinian scene has witnessed during the last months a real escalation of the Jihad operations carried out by Hamas. It seems that those operations have contradicted the rumors that the movement had changed its strategy of Jihad and abandoned the alternative of the resistance, under the pressures of persecution and arrests of its activists and members, both on the political and military levels. The movement has proven its capability to reconstruct and promote itself by more powerful means than in any period in the past, after every blow directed at its military apparatus, either by the Israeli occupation or the Palestinian National Authority. This was proven by the latest series of operations, which kindled the red lights in the Israeli security system, and pushed it to raise the level of alertness among its ranks, to besiege some of the Palestinian cities, and to put mopressure on the Palestinian Authority in order to increase its efforts in persecuting the activists of the resistance in its territory. It should be noted that there was not only an escalation of the military operations and increase of the activity of the military cells, but a development in the organizational level of Hamas and the capability of taking new and diverse measures, of maneuvering and of succeeding to carry out most of the operations without any losses. From the comparison in Table no. 1 we can see an escalation in the number of operations carried out by members of Iz al-Din al-Qassam Brigades, the military wing of Hamas, in two years between the periods of 4/9/97-28/8/98 and 11/9/98-1/9/99. 1 4/9/97 Triple suicide operation in Jerusalem. 5 killed and about 200 wounded. 2 19/9/97 Bomb exploded near a coffee shop in Ben-Yehuda Street in Jerusalem. 2 killed and 32 wounded. 3 22/10/97 A Molotov thrown toward a military post in Tel-Rumeidah (Hebron). 4 19/11/97 Bomb exploded in a bus station in Zion Square (Jerusalem). 5 wounded. 5 11/2/98 A videocassette exploded in Netanya. One wounded. 6 11/2/98 Stabbing of a Jewish student in the Yeshiva at Shu`afat (Jerusalem). One killed. 7 25/2/98 A bomb in Afula. One wounded. 8 14/3/98 A videocassette exploded in Afula. One killed. 9 14/5/98 Shooting at military vehicle near Hebron. 2 killed and 2 wounded. 10 19/7/98 A car bomb was burned in Jaffa Street in Jerusalem, but did not explode. 11 4/8/98 Shooting at guards in Itzhar settlement south of Nablus. 2 killed. 12 11/8/98 Time bomb exploded near an army patrol, near Shavei Shomron settlement. 13 20/8/98 Stabbing of a Jewish settler in Tel-Rumeida in Hebron. One killed. 14 28/8/98 Time bomb exploded near the big synagogue of Tel-Aviv. 12 wounded. 15 11/9/98 Time bomb exploded by an army patrol near Qedumim settlement. 16 24/9/98 Shooting at a civilian vehicle in Kharsina hill in Hebron. 17 24/9/98 Remote control bomb exploded at the gate of the Hebrew University (Har Hatzofim). 18 30/9/98 An attack by hand grenades on Israeli soldiers in Hebron. 41 wounded. 19 19/10/98 An attack by hand grenades in Be’er Sheba. 26 wounded. 20 19/10/98 Suicide bombing by car bomb on army caravan near Gush Qatif. One killed and 6 wounded. 21 6/11/98 Car bomb exploded in Makhane Yehuda market in Jerusalem. 2 killed and 12 wounded. 22 July 99 An attack on army patrol vehicle near Jenin. 23 3/8/99 Shooting at civilian vehicle near Hebron. All the passengers were wounded. 24 August 99 Molotov thrown on a group of Israelis in Ramallah. 25 7/8/99 Killing an Israeli settler (Eduard Bardshatzki, an expert of arms) and burning his car on the way Jenin-Nablus. 26 7/8/99 Stabbing an Israeli soldier near Al-Aqsa Mosque. 27 8/8/99 Molotovs thrown at army patrol in Hebron. 28 10/8/99 Shooting at an Israeli settler near Mevo Dotan settlement near Jenin. One wounded. 29 10/8/99 A hit by car of Israeli soldiers in Nakhshon juncture. 21 wounded. 30 15/8/99 Bomb exploded near the police center in Netanya. B. The popular support in the leading universities. The Palestinian universities can be viewed as microcosms reflecting the tendencies of the Palestinian public opinion or at least its vast majority. The Palestinian universities are an extension of the Palestinian environment that faces the reality of the occupation and the peace agreements. Therefore, they can be viewed as an important criterion of this reality. The Palestinian universities, like the rest of the universities in the world, are a reflection of the political and social components in society. The students are biased to various political currents. Moreover, the messages of the political parties and movements reach the university campuses through the students. Therefore, every studential move is a political position but from a university point of view. The elections for the students’ councils in the Palestinian universities are a balance, and the political trends in the universities are similar to the natural trends in the Palestinian public. The positions of the students and their voting are therefore means to the reading of the tendencies of the Palestinian public and its various currents. Here are, for example, the results of the elections in some of the universities. In 1996 the number of voters was 8166. The council is composed from 81 seats. * The Democratic Polar is a front of the Popular Front, the People’s Party, FIDA, the Struggle Front and the Communist Party, in the elections of 1999. It represented the leftist trend. Al-Najah National University in Nablus is the largest Palestinian university and the most famous in the history of the Palestinian struggle. Therefore, you cannot ignore the political, social and cultural elements of the student movement inside and outside the campuses, with the Israeli occupation in the past or the Palestinian National Authority, in the present. If we survey the history of the Palestinian student movement in the last two decades, we notice the absence of the Islamic trend in the 1970s and 1980s from the general Islamic arena, while the PLO was the dominant element in Al-Najah University and a fruitage factor for its supporting trend—Fath. The Shabibah movement had had a dominance over the student council’s seats, until it was defeated for the first time since the outbreak of the Intifadah, and the Islamic block succeeded in gaining the confidence of the majority of the university students and hence, the control of the council. Only then, the power balance has changed. As we see in Table no. 3, Hamas has increased its votes in about 2.7% between 1996 and 1999 and succeeded in crossing the barrier of majority, which enabled it to control the council with no need of the other factions. It seems that the popularity of Fath has retreated versus the increase of the Islamic trend of Hamas. The increase in the support for Hamas means that there is a real change in the tendencies of the students and their affiliations, after a long period in which they supported Fath. The increase of the rate of the voters should be noticed too, as it reached in 1998 and 1999 more than 80% from the total number of the students, which exceeds 10,000. The election of 1999 was a kind of referendum on the peace process between Israel and the Palestinians, between Hamas as the trend of resistance to the Israeli occupation and Fath and the march of reconciliation supported by the Palestinian National Authority. Several days prior to the elections there was wave of arrests of Hamas students in the university, in order to assist Fath. But the result was the victory of the Filastin al-Muslimah block in most of the council’s seats for the second year, in spite of the oppression and threats of the Palestinian Authority against Hamas members and supporters, and the assistto Fath. The progress of Hamas in the elections was firstly at the expense of the Palestinian left and secondly the traditional dominance of Fath. The council is composed from 9 seats. From Table no. 4 we can see that Hamas controlled all the 9 seats in the Islamic University in Gaza, its traditional center, where it has been developed before it expanded to the rest of Palestine. Despite the fact that Gaza Strip was the first area of control of the Palestinian National Authority and returned to Palestinian hands according to the peace process, the political trend supporting this reality has failed to win even one seat of the student council under the banner of Fath. It may be explained by the bad political and economic conditions in Gaza since the Oslo Accord, which are much worse than in any other Palestinian area or city. The lower classes suffer there from poverty and unemployment, while according to the report of the Palestinian Parliament, enormous sums of money from the Palestinian budget went to the purchase of tens of vehicles for Palestinian officials. Not to mention the political situation that was revealed in the reports of organizations of human rights about the political detainees in Palestinian jails and the beatings and humiliation they are exposed to, due to their political opposition tendencies. The council is composed from 51 seats. The elections in Bir Zeit University were marked by many changes in the results of all blocks. The Islamic trend has been developing and maintained relative equality with Fath. The achievement of the Islamic trend in this university is remarkable due to the importance of the institution and its weight in the Palestinian public and society. The students at Bir Zeit have high political awareness and a tendency to absorb ideologies and ideas of different kinds. The number of seats in the student council in 1997 was 35, and 41 in 1998. Hebron University has witnessed the dominance of the Islamic Trend, composed of Hamas and Islamic Jihad, in the first elections under the Palestinian Authority. This success was at the expense of Fath and the leftist trends. The Islamic trend won in 1997, 19 out of 35 seats, with 54.3% of the votes. In 1998 and 1999, it won, under the banner of Filastin al-Muslimah, 22 out of 41 seats, with 53.7% of the votes. Fath movement won in 1997, 15 seats with 42.9%, retreated in 1998 to 17 seats out of 41, but succeeded in 1999 in gaining 19 seats. Among the other blocks only the Taghyir (Change) Block gained in 1998 two seats, and all the others have totally failed. The table above presents the rates of dominance of Hamas and Fath movements in the four big universities in the Palestinian Authority in the past three years. Hamas has succeeded in gaining the support of twice the number of the students than Fath. Authors Note: On the importance of the Palestinian universities in the Territories for the Islamic groups, see the author’s forthcoming article, “The centrality of the Palestinian Universities in the Territories in the development of the Palestinian Islamic Groups,” to be published by the Begin-Saadat Institute for Strategic Studies at Bar-Ilan University.